**Please check with the shelter for additional monthly adoption specials! Giving up a family pet is never an easy decision. Sometimes individuals must do so due to an unexpected life change or because of an emergency situation. 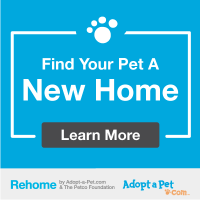 Since we know these decisions do not come lightly we want to help you find that pet a new home. Maricopa County Animal Care and Control accepts owner-surrendered animals by appointment. To schedule an appointment, owners may visit either the East shelter location at 2630 W Rio Salado Pkwy in Mesa or our West shelter location at 2500 S 27th Ave in Phoenix. Owners may also call 602-506-PETS to schedule an appointment as well. Appointments will be made 7 days a week, with a maximum of 10 appointments scheduled per day, except during over-capacity situations. The surrender process may take anywhere from 30-40 minutes. A surrender fee of $75 for dogs will be collected at the time of the owner surrender, no exceptions will be made. The relinquishment fee for cats is $96 for a stray cat and $75 for an owned cat. Overcrowding in our shelters can create undue stress and can lead to potential illness. In order to maintain the health and safety of the animals within our care we must be able to manage the amount of animals entering into our shelter system. By going to an appointment based system we can try to maintain a proper level of safety and care and place more animals into forever homes. Before surrendering your pet, please take a look at these resources that may help. Arizona Animal Welfare League – Owner surrender program, limited availability and by appointment only: 602-273-6852 x116. Social Media – Reach out to friends and family if you haven’t yet.